Let’s talk about the incredible hat that is part of the Point/Counterpoint Collection. 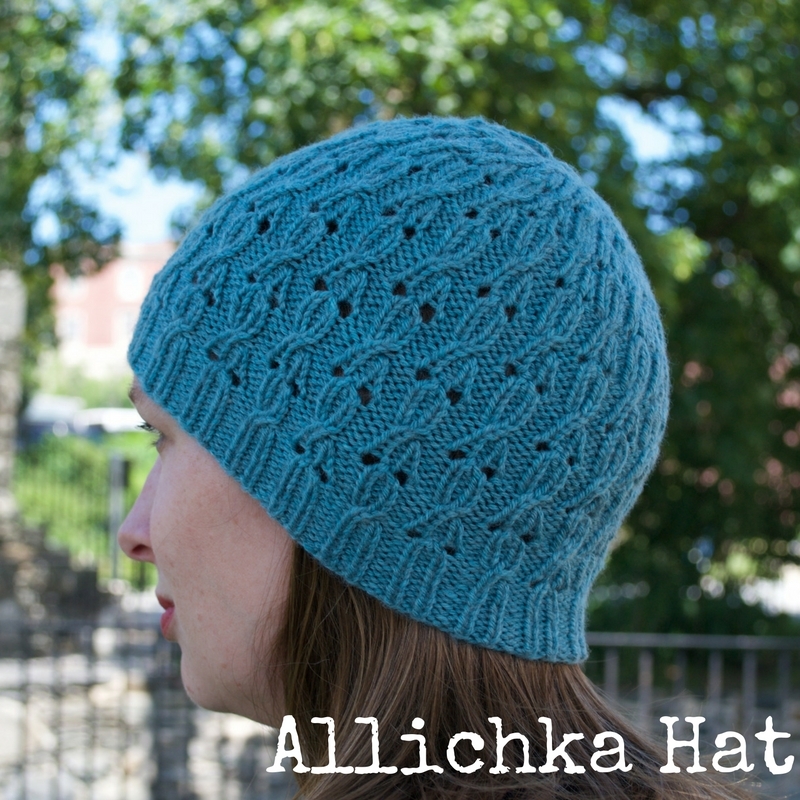 The Allichka hat is a bottom-up beanie in sizes for the whole family designed by Mary Hull of Kino Knits. Unique cables and eyelets mimic awareness ribbons, so you can knit one in the color of your favorite cause. She knit this in a stitch pattern that she invented, which I think is pretty incredible. Giant floofy pompom optional!